for a garden is a location. God chose a spot in Eden. flowed from Eden, and from there it divided; it had four headstreams. The name of the first is Pishon . . . the second river is the Gihon . . .
and charged with caring for the garden. 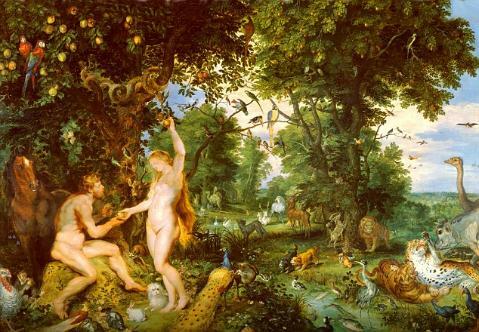 God created woman as a companion and sexual partner for Adam. wife, and they will become one fleshâ€� (Genesis 2:24). well as with the Peaceable Kingdom of Isaiah 11:6.
people a glimpse of Paradise here on earth.